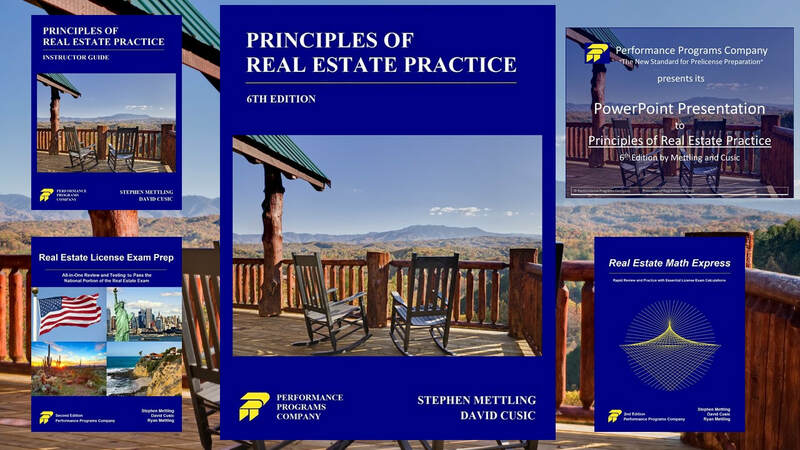 PREP-PP contains the same content and organization of our best-selling exam prep books, the ‘Real Estate License Exam Prep’ series - so the circle of reinforcement is complete! Our 170-page instructor guide is perfect for designing lessons plans for Principles of Real Estate Practice. The instructor guide is available in print, PDF, and Word formats. Our stand-alone, 75-page math workbook is called Real Estate Math Express. Please click the link below for more information about Real Estate Math Express. Find out why Real Estate Math Express is the best-selling real estate math book on Amazon.com. We have a comprehensive, state-specific line of exam prep titles known as the "Real Estate License Exam Prep" series. Please click the button below for additional exam prep information.